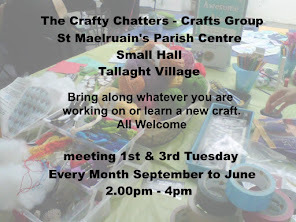 FROM THE RECTOR Tours of the church and grounds continued over the summer with a school tour at the end of June followed by various tours over the summer organised by Tallaght Library and led by Thomas Maher including tours for Heritage Month. 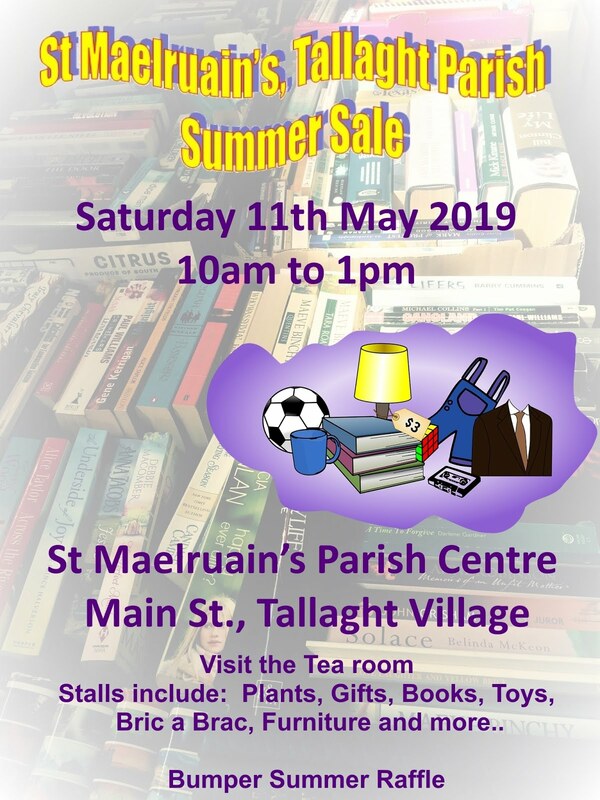 We also had the Church and grounds open for Tallafest and thank you to Vivienne Bright, David Gibson, Gail Sheridan and Hazel Walshe for stewarding the event. Thank you to Billy Gould for organising the cutting of the hedges in the graveyard on Monday 26th June. We had a bigger work party than ever before, thank you to all who came along on the day, many hands make light work! On 2nd July, a lovely Sunday afternoon, we had the annual Dominican blessing of the graveyard followed by Mass in the Church (The Priory has a Polish Mass on the same afternoon) which as always, was well attended. On Saturday 26th the now annual, ‘Light up the sky’ took place in the park opposite our Parish School in Jobstown. It is a supportive event for anybody who has lost a baby or child through miscarriage or otherwise. Chinese lanterns and helium balloons were released and it allows parents and their families to remember lost babies. ‘Light up the Sky’ is organised by Melissa Lutrell, who sadly lost a baby through miscarriage and found a lack of support, and her dad Mark, a parishioner. I attended the memorial for Maurice McConnell on 31st August, a leading member of Tallaght Community Council. 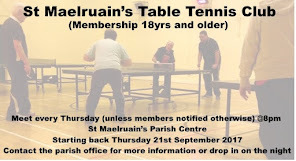 Maurice was one of those volunteering men who began his community involvement helping to set up his residence association and the youth club in Old Bawn. 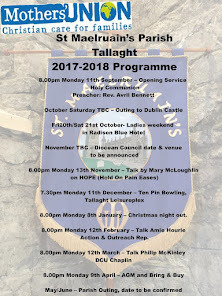 The two main events that Tallaght Community Council run are Tallaght Person of the Year in the winter and Tallafest in the summer. Maurice will be sadly missed in Tallaght. Unfortunately I couldn’t attend his funeral as it was induction week in the Institute of Technology Tallaght where I was introducing myself to the new students in my role as part time chaplain to the college but I read the Gospel at his removal service. Nunns Cross Church held a Flower Festival over the weekend of 3rd September. Some of our own ‘flower festival’ ladies displayed a beautiful arrangement in the Balcony with the musical theme of ‘All God’s creatures have a place in the choir, some sing low and some sing higher’ arranged like a musical score. The arrangement featured in the back the October edition of the Diocesan Church Review Magazine. As September began I attended The Church in Chains conference on Egyptian Christians which I found particularly interesting as one of our parishioners is married to a Coptic Christian. On 10th September I was at Christchurch Cathedral for the installation of Canon Sonia Gyles of Miltown Parish and for Canon Ray Byrne as he was installed as Presenter. The wheels of motion of parish life are well underway as we return to another session. We look forward to God’s blessings for fellowship in our parish community. As we go to print we are looking forward to our Harvest Service on Sunday 8th October at 3.30pm followed by refreshments in the Hall. FUNERALS It was with great sadness that we had the funeral for Pam Stroughair on 18th August, Pam passed away suddenly on 14th August. We extend our deepest condolences to her husband Eric and to their sons Christopher, Stephen and Richard and to her wider family and friends. On Tuesday 19th September the funeral of Maud Patton took place (wife of the late Norman), our sincere sympathy goes to her children Fred, Alan, Kenneth, Robert, Leslie and Norma and to her extended family and friends. BAPTISMS On 20th August we had the Baptism of Chihindu daughter of Keme and Ada Ikdise and on 26th August we had the Baptism of Fionn, son of Paul Kerr (a parishioner of my former parish who now lives locally) and Lisa Canney. At our Family Service on 24th September we had the Baptisms of Tilly and Orla Oshisanya daughters of Femi and Florence and on 30th September Mila Edith daughter of James Byrne and Paula Kenny was baptised. We welcome these children into God’s family and pray for them as they begin their Christian lives. CONFIRMATION At our Confirmation Service in Christchurch Cathedral on Sunday 4th June our eight candidates were confirmed. Please pray for Adam Bugler, Chimarokem (Chiboy) Eriobu, Adachukwa (Ada) Erioubu, Emma Okafor, Kaosisochukwu (Kaosi) Okafor, Ganiru Ikedife, Chidalu Ikedife and Chukwuebuka (Ebuka) Ikedife. DATE FOR YOUR DIARY: Christmas Sing Along will take place in the Main Hall on 1st December from 7pm , a great night is planned to get you into the festive spirit! CHRISTMAS SHOE BOX APPEAL The launch of our appeal for Team Hope’s Christmas Shoe Box’s will be on Sunday 22nd October at our Family Service. Team Hope’s deadline for returning the boxes is 10th November therefore we would need the filled boxes by Sunday 5th November. Please have a look at Team Hope’s website to check for suitable items to be included www.teamhope.ie or to find any other info you may require. SCHOOL NEWS We are now well back into the term after our summer break and were delighted to welcome to our staff Ms Gwen Steenson and also to welcome back Ms. Gillian Martyn back from maternity leave. The school has seen considerable changes over the Summer months. We are delighted with the transformation of the Old Library into the new Kitchen and Parent‘s Room. It is a warm and inviting space and some of the children have already availed of the facilities in Ms. Murphy’s cooking lessons. The old Parent’s Room got a make over and is now the Learning Support Room, while the old Learning Support Room is currently in use as Mr. Kehoe’s Classroom for this year’s Third Class. The old Kitchen is still awaiting its transformation and we are hoping that we will shortly be able to use it as a library hub. MOTHER’S UNION / FAMILIES FIRST Before I start I would like to send our sincere sympathy to Eric Stroughair and his sons on the very sad passing of his wife Pam who along with being a loyal member of our branch for many years, was our branch treasurer for well over twenty years for which we are extremely grateful and also helped organise our annual bring and buy. We will miss Pam very much. Our opening service of Holy Communion was on Monday 11th September was well attended with Conon William celebrating and Rev Avril preaching giving an interesting sermon on women in St Marks Gospel and how involved they were in Jesus ministry and tied it in with this year's Mothers Union theme of ‘Faith in Action’, so thank you Avril. Our next event will be on Sat 7th October meeting at 10am at the church gates and going in to visit Dublin Castle. If you would like to come please let me know. Everybody welcome. I would like to welcome our new committee Vivienne Bright, Eileen Dunne, Hillary Armstrong, and Yvonne McGlynn and say thank you to Hilary Armstrong for taking on the role of secretary and thank Mirriam Gibney for all her hard work as our Secretary over the last few years. Vivienne Bright has kindly offered to take on the role of Hon. Treasurer following the sad passing of Pam Stroughair. GIRLS BRIGADE Girls Brigade started back again on Wednesday 13th September at 7pm for Juniors, Seniors and Brigaders (ages 9 and up) and Saturday 23rd September at 10.30am for Explorers (under 9 years). WHIST DRIVE The October Whist Drive take place on 16th at 8.00pm, all welcome! 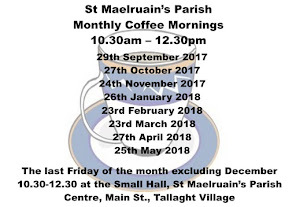 PARISH COFFEE We got off to a good start in September and we are looking forward to our next Coffee Morning on Friday 27th October, as usual 10.30am to 12.30pm in the Old Hall. Drop in for a cuppa and a chat. All welcome. PRAYERS FOR THE PARISH have resumed after the summer break, meeting on Monday evenings at 8.00pm.